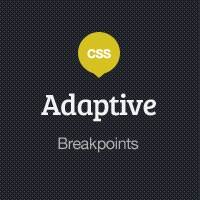 At this point in our theme development it’s time to look at the adaptive nature of the layout. We’re going to examine our breakpoints, tidy up the layout in its various states, deal with the navigation and any images we encounter. Notably, this is the last of the screencasts before we dive into WordPress theming!